Calling all Classroom Changemakers! 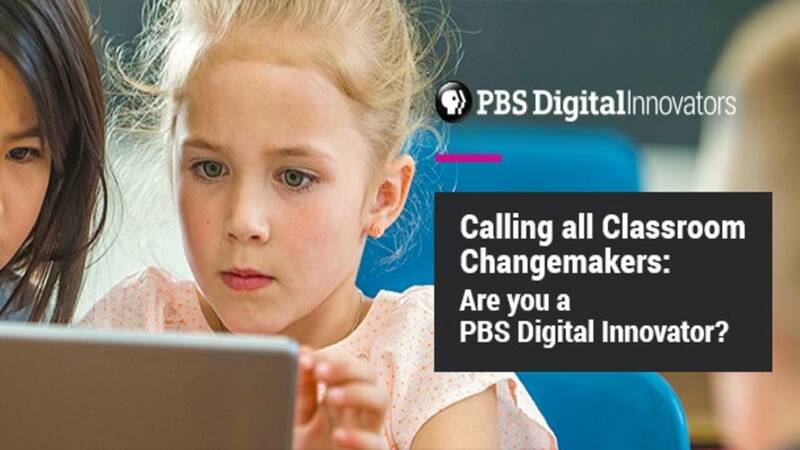 Are you a PBS Digital Innovator? PBS Digital Innovators set the bar for thoughtful tech integration in the classroom. They are K-12 educators who are not defined by the gadgets they use, but by the unique way they approach education. Their bold and enthusiastic perspective sets them apart as changemakers, and unlocks new worlds for their students. We’re looking for educators who love what they do, and who have found creative and thoughtful ways to integrate technology and digital media into their instruction. These educators are born leaders—they inspire both their students and their peers. Most importantly, they make learning fun and accessible to all students. PBS Digital Innovators receive ongoing professional development, opportunities to share their ideas in national settings, and an all–expenses-paid trip to the PBS Digital Innovators Summit and the ISTE conference, happening right here in San Antonio, Texas! The application process will be open from December 12, 2016 to February 13, 2017 at 12:01 am, PST. Tell us what you’re passionate about through our online application process. Applicants selected to join the PBS Digital Innovator class of 2017 will receive ongoing PD through in-person training, webinars, and a free PBS TeacherLine course; access to exclusive educational technology resources and events; membership into a lively professional learning community and an all-expenses-paid three-day trip to San Antonio for the PBS Digital Innovators Summit and ISTE 2017 Conference & Expo! Everyone who applies will automatically become a member of the PBS Education community, connecting you to a large network of like-minded educators. Apply today! Visit the PBS Digital Innovators websibite for more information.